传记: Graduated from the Fine Art Department of Nanjing Normal University. 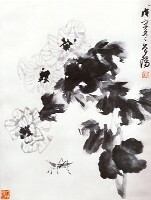 Now, he is the vice curator of the Suzhou Art Gallery. His artwork has been selected to join several national art exhibitions and has won numerous awards.